The results are in. "The world’s first shared-commute and private-carsharing service" pilot included a fleet of 34 hybrid Toyota cars and recorded more than 200,000 shared miles using Carma's verification tech. In honor of National Simplify Your Life week, our Carma team is spending time at the Toyota Motors North America headquarters in order to help more of their team members take a step towards simplifying the way they get to work. Life is full of challenges. At Carma, we don’t believe your commute has to be one of them. As featured in OmniAir's most recent newsletter, Carma Technology Corporation and Toyota Motors North America launched Carma Share, an innovative high-occupancy mobility service for team members at its headquarters in Plano, Texas. The program aims to fight road congestion and reduce carbon emissions. 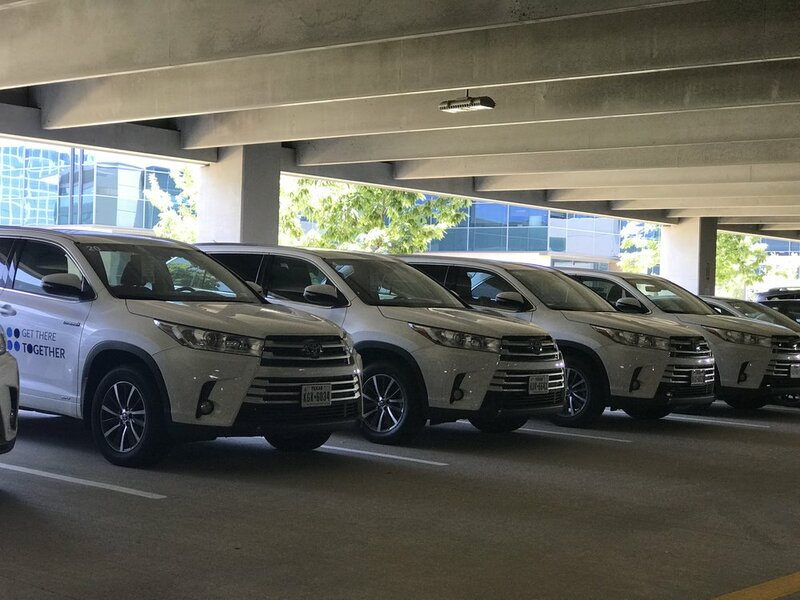 Team members at Toyota Motors North America are the first in the world to benefit from an integrated campus transportation solution that makes available a fleet of premium hybrid cars for shared commute and private use. Provided by Carma, the technology includes a smartphone app that issues automatic driver approval, instant bookings and Bluetooth-enabled vehicle access. Hybrid Highlanders from the Carma Share fleet lining the walls of the Toyota parking garage. Toyota is an industry leader recognized globally for its cutting-edge, innovative company culture. Therefore, it was no surprise their employees showed up by the hundreds on May 22, 2018, when Carma hosted Cupcakes with Carma, offered Toyota team members the opportunity to learn more about our corporate rideshare program at their Plano headquarters. In addition to the delicious cupcakes and great conversations that took place during the informal, come and go style gathering, Carma employees gave live demos to Toyota team members showing them how easy it is to use the service. Toyota team members were also encouraged to suggest new departure times and locations for consideration as the community continues to grow. Multiple team members made their first booking using the Carma Share app during the event, making Cupcakes with Carma a true success.